Davin is Chief Operating Officer for Covenant Eyes, Inc. in Owosso, MI, USA, where he gets to mix his background in user experience design, research, and strategy with the operation of a software company. For more, see his LinkedIn profile. I have a 2013 Ford Fusion. I like the car, but SYNC, the media system (think phones, etc. ), is really bad. I thought updating the software would help. Here’s how that went. Throughout this whole experience, I had to keep reminding myself of two facts to properly lower my expectations. Ford is a car company, not a software company. SYNC is powered by Microsoft. Once I had the account set up and my car added, it seemed obvious that there was an update for SYNC. It took me a moment to actually find it. The instructions that came up were for more recent versions of SYNC, so I had to skip to a second set of instructions for older vehicles. The instructions helped me see that I was about to run the gauntlet. For users of macOS, there are two important problems to overcome. When you download the installation file, everything goes sideways. If you try to put the files on the USB drive, go to your car and start the installation, your car will tell you File Not Found. You need to fix the files before you try to install them. When you download the files, they will probably appear in your Downloads directory. Instead of being a file you need to decompress/unzip like Ford’s instructions indicate, it’ll just be a file folder with a name like GG1T-14D544-AB. When you open that directory, you’ll see a bunch of odd files that look something like this. This is the default SYNC update file list as it appears on my Mac. The backslash characters in the filenames are a good clue. 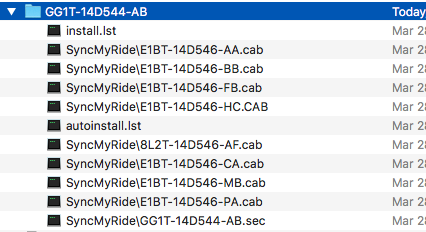 To fix them, you need to add a new directory called SyncMyRide. Then you need to remove the “SyncMyRide\” from all of the filenames, and then move those files into the SyncMyRide folder. It’ll end up looking like this. Here’s what the files should look like in order to work. Move the files over to the thumbdrive. Don’t drag the containing directory, the GG1T-14D544-AB folder, just the fixed contents of it. Figuring this out caused me too many trips between my computer and my car. I hope it helps you. P.S., after doing the update, SYNC is still really bad. 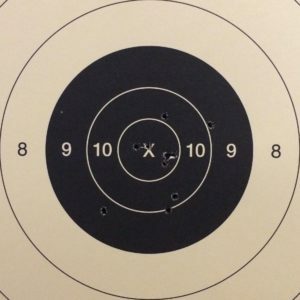 A side project of mine is to keep up rangelistings.com, a website that provides a list and map of shooting ranges in each of the Unites States. Forgetting for the moment that women enjoy the outdoors, let me propose a best form of those variations. Because a club of one sportsman isn’t much of a club, I propose it should always be plural: sportsmen. Because the club is possessed by those sportsmen, it should be the possessive form: sportsmen’s. So, in case anyone would like to fix the name of such a club, try something like ABC Sportsmen’s Club. Real leaders have moral codes that reflect a deep care for the well-being of others, instead of a moral code that swirls around selfish ego, fear, greed, and attachment to their own agendas. Where, oh where, are those leaders? To cast a meaningful vote at this stage, it must be for one of the two main candidates, informed by discerning the principles by which each will govern. That’s the conclusion I’ve come to, as much as I dislike it. Since then more information has surfaced that further outs the deep ethical and moral problems that both Clinton and Trump have, highlighting for me just how much this isn’t about a Democratic or Republican platform being represented in the White House. Rather I’m more concerned about how the character of Clinton/Trump foreshadows how the candidate will carry out actions as chief executive and influence national policy. This follows my earlier rationale of “discerning the principles by which each will govern,” and what I’ve discerned is troubling. I expect a higher standard for the office than either candidate will meet. In my opinion, neither should be established as President of the United States. Now, as a matter of my own personal integrity, I have a dilemma. Election Day is just a couple weeks away, but I cannot in good conscience vote for either candidate. Do I have no option for a meaningful vote? As an aside, I’ve been an independent for my whole voting life, but have leaned more to the conservative side. As such, I’ve generally looked to the Republican Party for a presidential candidate. I have to say, both parties have failed us. The Democratic Party leadership clearly has shown itself to be profoundly corrupt (thank you Debbie Wasserman Schultz), and the Republican Party leadership has shown itself to be spineless, sacrificing its principles in the presence of a giant. Real leaders possess character and make the hard decisions based on solid principles. 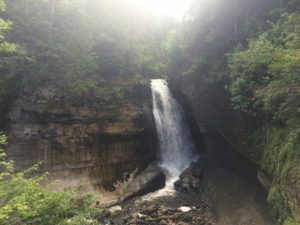 Their moral codes reflect a deep care for the well-being of others, instead of a moral code that swirls around selfish ego, fear, greed, and attachment to their own agendas. Where, oh where, are those leaders? I’m happy to share the news that Covenant Eyes, Inc. made position 3674 on the 2016 Inc. 5000 list, showing an 85% growth in revenue over the past 3 years. What’s even better is that this is our 6th time on the Inc. 5000 since 2010. A one-time listing might be a fluke, but 6 times in 7 years shows a strong pattern of business performance. To cast a meaningful vote at this stage, it must be for one of the two main candidates, Clinton or Trump, informed by discerning the principles by which each will govern. My fellow Americans, we’ve found ourselves with the rotten choice of Hilary Clinton or Donald Trump for President. Political parties aside, many of us don’t think that either Clinton or Trump would make a good president. Yet these are our options. So, how should we vote? Well, John Quincy Adams wrote, Always vote for principle, though you may vote alone, and you may cherish the sweetest reflection that your vote is never lost. I love the idealism, Mr Adams, but practically speaking, voting is a zero-sum game, where for one candidate to win, the other candidates must lose. A vote for a losing candidate may not itself be lost, but it ends up being worthless. The worth isn’t in the vote itself, but in the relative volume of each set of votes for each candidate. Today, if I take advice from Adams and vote for principle, I cannot vote for either Clinton or Trump. Yet, I must vote, if I am to always vote for principle. And yet, if a vote for a losing candidate is worthless, is there really any other option than to cast a vote for one those two candidates, one of whom is bound to win? Where did that fabled principle go? As I’ve reflected on our current situation with Clinton and Trump, it has finally struck home that the more important election is the primary, not the general election. Sure, more people vote in the general election, and it does on the surface seem to influence who will become president, but, given our two-party system, the primary is where we really get to make major selections in who will go forward. After that, so much of it becomes a matter of party politics, regardless of the actual candidates. Americans, we must become more interested and rigorous in our primary elections, much more than we are in the general election! We need to establish the principles we want our elected officials to protect and promote, and hold our candidates to those principles, instead of getting wrapped up in the personalities of the candidates. Principles first, candidates second. This is an election, not a popularity contest. I think we lost great options for presidential candidates in the primary season, and I have to ask myself if the best America had to offer for presidents really was represented by those in the running leading up to the primaries. I cannot believe that, I have more hope than that. Americans, the best among us may be shaking our heads at the circus of politics: the backbiting, betrayals, mud-slinging, slander, grand-standing, name-calling, and cost of it all. Are our best getting into the ring? Obviously not, if you look at the leading candidates. This country must have better options than those two. We need leaders of true character to step into the ring, and we need to support them in their fight for the future of this nation. We tend to pay attention to the last leg of the election race, but the real winnowing happens early on. There is a very early divergence, a convergence culminating in the primaries with fewer of us paying attention, and then we do it again with an extremely thinned out set of candidates for the general election. That’s a risky process, if you ask me. I’d rather the Democratic and Republican primaries didn’t happen, honestly, so that we could keep our options open through the process, with more and more information for a broader set of candidates. What we have isn’t the best system for an election, because we don’t get enough exposure early enough to the spread of candidates compared to the principles we care about, but it is what we have to work with. The fact is, this is what we have to deal with. In the primary, we had a broad swath of candidates, grouped by party. We had more opportunity to vote for principle. But now we essentially have two candidates to choose from, regardless of how well either of them reflects a principle. That is our present option. We don’t have an infinite set of candidates, we have two candidates who have a chance. Just two. This is the present outcome, the truth of our political system. How well is our system working? Tell me, am I wrong? 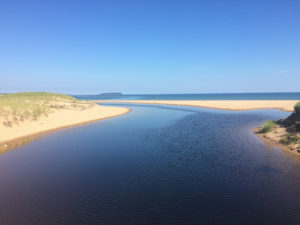 After breakfast, Amy and I went for a walk along the shore. Surprisingly, the water was pleasantly warm! The climb down into the ravine required hands and feet. The air at the bottom was thick with mist, and we had to raise our voices to be heard. 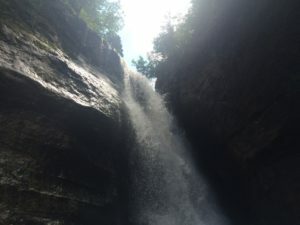 The water cascading over the ledge at Miners Falls. 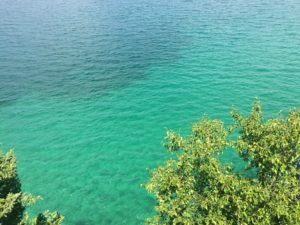 Beautiful water below Miner’s Castle overlook at Pictured Rocks National Lakeshore. 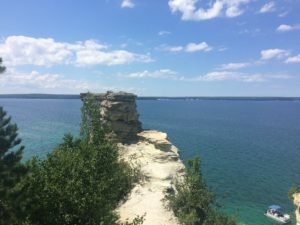 Miner’s Castle, a rocky outcropping, at Pictured Rocks National Lakeshore, near Munising Michigan. Here’s an OmniGraffle stencil based on Lex Sisney’s Organizational Physics. 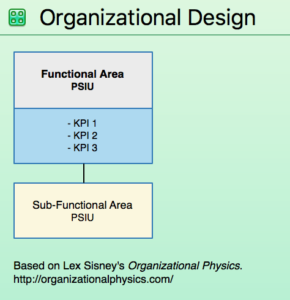 I’ve lately been working on redesigning the organizational structure of Covenant Eyes, and amidst all of the research, analysis, and modeling, I was referred to Lex Sisney’s work in Organizational Physics. There are plenty of interesting concepts that he raises, and I’m inclined to get his book and read it. In the meantime, I’m reasoning by modeling, and thought to mimic an approach he’s shown in articles like this one: Organizational Design: The Difference Between Organizational Structure and an Org Chart. I threw together a stencil to use in OmniGraffle. Here’s what the OmniGraffle stencil looks like. Major functional area and related KPIs, and sub-functional areas. More than any other type of worker, earnest designers and design researchers wrangle with real strategy formulation, often blazing a trail for a company and its management. Is UX more strategic than other business disciplines? I was surprised by this fair critique, and wanted to share it. My reaction is exacerbated by your [Davin’s] view of strategy and UX as largely coupled. Any quality business work should be strategic. Many financial services firms don’t have anything resembling a UX/design arm, but they’re not necessarily less strategic for it. Is UX a really important resource for strategy here at CE? Sure. But so is tech, finance, etc. Have our UX practitioners developed more strategy-oriented disciplines than employees in other departments? Probably in many cases. I think that simply means we need to deepen our corporate thinking about strategy; not necessarily make UX the guardians of strategy. There is so much packed in there! For the sake of clarity, I’ll list what I read as the rationale. Any quality business work should be strategic, not solely UX. Our UX practitioners have probably developed more strategy-oriented disciplines than employees in other departments. Instead of relying on UX for strategy, we should train employees in all departments that do quality business work on strategy-oriented disciplines. I heartily agree with point 2, even with the word “probably.” After all, not all of our UX practitioners have had the same development or have the same sets of talents. It’s a complex group. But I do know that many of them have deepened their expertise in areas that are notably related to strategy. How does design fit with Playing to Win’s strategy questions? Which areas of UX are related to strategy? Well, it depends on how you define strategy. For one definition, let’s try the set of 5 questions from Martin and Lafley’s Playing to Win. I’ve listed each question with a sub-point of my opinion about who should be directly involved. The board and executive team need to establish this. UX informs executives who decide. UX has insight for this from qual+quant research distilled into personas and related demo/psychographic models. UX informs executives who decide. UX has insight for this from a product/service innovation perspective, validated by insights from design research and knowledge of other related or competing products and services. What capabilities must we have in place to win? Executives need to establish this, including deciding what is outsourced and what is done in-house. What management systems are required to support our choices? Executives and managers need to establish this. Don’t forget that the work of each question informs the reasoning for the adjacent questions. Now for another definition, this one focused on, well, definitions. UX is a discipline of design. What is the definition of design? Here is a generic definition: purpose, planning, or intention that exists or is thought to exist behind an action, fact, or material object. And a definition of strategy: a plan of action or policy designed to achieve a major or overall aim. The similarity between these is obvious upon inspection. If they aren’t the same, they are least remarkably similar, with a possible interpretation that design precedes strategy (…policy designed to achieve…). Now, how does the definition of finance line up: the management of large amounts of money, especially by governments or large companies. That doesn’t really fit. How about the definition of technology: the application of scientific knowledge for practical purposes, especially in industry. Nope. Also not like strategy. I’m not playing semantic games here. I’m just looking for the most obvious definitions. So in an effort to find a definition that really has a better chance at being like strategy, here is a definition of business management: Management is commonly defined as the alignment and coordination of multiple activities in an organization. Business owners use management skills to accomplish the goals and objectives of their company. That too isn’t like the general definition of strategy. However, it is more like the 5th question of Playing to Win. So, business management is a component of strategy, especially for the execution of strategy. Why would designers end up doing strategy? Definitions aside, why would UX practitioners, of all types of employee, do strategy work in the first place? Because design activities often lead towards strategy. One might say that these questions aren’t from the design discipline, but I would point out that these are questions bent on pulling out a deeper understanding of the situation. This deeper understanding is demanded when modernist designer Massimo Vignelli preaches his semantics: “The very first thing that I do whenever I start a new assignment in any form of design, graphic, product, exhibition or interior is to search for the meaning of it.” This sentiment was also expressed by architect and designer Elial Saarinen in his principle of designing a thing in its next larger context. Indeed, this need to understand the larger context, the purpose, and the meaning is embedded in the discipline of design, and this is why designers end up negotiating strategy, which often is that larger context. It may surprise you how frequently it is the designers—not managers, executives, or owners—who have first asked the deep questions of strategy. And these designers may not feel safe asking these questions, but they must ask if they will do their jobs well. I expect designers to wrangle with real strategy in their daily work, because it is in the nature of design, birthed by the practical, empathy-building gut-checks of real design research with real people and the creative, prototyping and modeling activities and thought patterns of design work. I don’t expect this kind of raw strategy development from other workers, and I have only rarely experienced it from them, with the exception of some executives. Should everyone do design? Do strategy? Rolling all the way back to the initial claims, I disagree with the 1st point that quality business work must be strategic. I’d rather see these other disciplines do excellent, dare I say quality, business work in their discipline. I do not believe that doing quality accounting work means developing clear strategies. And I don’t believe that of technology or of customer service either. That doesn’t make them any less valuable or less necessary. They really are, and they have unique value to offer. They are essential in the machinery of the business. But so far as design work is like sound planning for a major aim, then design work is strategy work. And the training of designers lends itself to it already. My conclusion is more that I think executives and key managers probably do need training in design thinking—and possibly even some design tactics—so that they will benefit like designers have in their ability to do better development of overall business strategy. But executives and managers should already be studying the discipline of strategy anyway. Author Davin GranrothPosted on May 30, 2016 May 30, 2016 Categories Management, User experience, web, technologyLeave a comment on Does design precede strategy? The labels and groupings we use for the shooting sports would benefit from some thoughtful organization. Here’s my current approach at diagramming how the terms, like IDPA, IPSC, and Silhouette, are related. As a follow up to my post from earlier today, I’ve been trying to work through how to organize the various shooting sports. If you want to help by modifying this mind map, let me know. I’m sure it isn’t quite right, and this effort could use your perspective. Your browser is not able to display frames. Please visit Shooting Sports on MindMeister. While the term “bullseye pistol” will hold on as the most used, yet colloquial, form, the National Rifle Association has retired the term “Conventional Pistol” and replaced it with “Precision Pistol.” Good call, NRA. Precision Pistol is colloquially referred to as “bullseye pistol” because, well, we shoot at a bullseye. A couple of years ago the National Rifle Association officially renamed Conventional Pistol to Precision Pistol. This competitive shooting sport has been known informally as bullseye pistol, and to my knowledge that hasn’t changed. While I’m aware that some competitors are disgruntled by the name change, on the premise that all name changes are bad because they confuse the topic, I personally like the change. What does that sense of the word “conventional” give us? It says something about the sport being the most typical and probably with the most ordinary of guns. And that is not the reality of the sport, at least not today. Precision Pistol really does have a lot of competitors. I visited the National Pistol Championships at Camp Perry last year, and I’ll estimate that there were about 500 competitors in attendance. (Will anyone who has a more precise number please comment on that?) And for all those who made it to the nationals, there were far more competitors who didn’t attend. The sport of Precision Pistol is very much alive, although when I competed at the nationals in the 1990s, we had closer to 1,000 in attendance. There are other competitive pistol sports that seem to be more active than Precision Pistol. Action Pistol, Police Pistol Combat, Practical, Defensive, and so on. These are the pistol sports with shooters firing at multiple targets, some that fall over, from different positions, often with the shooter moving through a course of fire. And the targets are much, much closer—but shooters compete for best time to complete a course of fire. Let’s admit the truth: Precision Pistol looks slow and boring next to these fast-paced pistol competitions, so of course the various action pistol sports will do better at recruiting new shooters. Also, with so many people picking up concealed pistol licenses these days, some of these programs, like IDPA, do a good job at training shooters in techniques they ought to have acquired if they are to actually carry their pistols. And are these “ordinary” guns? Well, you can enter the sport with comparatively inexpensive guns, but when I look through the merchandise at a typical gun store, I see a lot of pistols with combat-style fixed iron sights. For bullseye pistol you’ll want adjustable iron sights or a red-dot scope. With targets placed at 50 yards, a good set of sights makes a big difference. So, your typical gun isn’t quite right for this sport. All that said, I love Precision Pistol. It is my sport, it is extremely challenging, and I’ll bet some great action pistol shooters cross-train in bullseye to their great benefit. But back to the words. The term Precision Pistol does a better job at contrasting the nature of the sport from NRA Action Pistol, and bullseye pistol is no longer the primary, or typical, pistol sport in town. Now, can you come up with a set of terms to describe all of the shooting sports around the world, instead of just referring to their organizing groups? For instance, would you consider Olympic-style pistol competitions, which look a whole lot like bullseye pistol, to also be Precision Pistol? I’d like a taxonomy please, but I don’t personally know enough about all these sports to propose one.